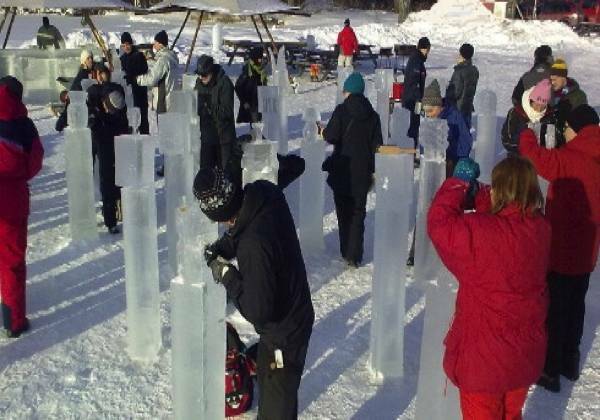 This activity can you do outside your hotel, or with advantage down with us at Åre beach. Ice sculpting is a fantastic experience! 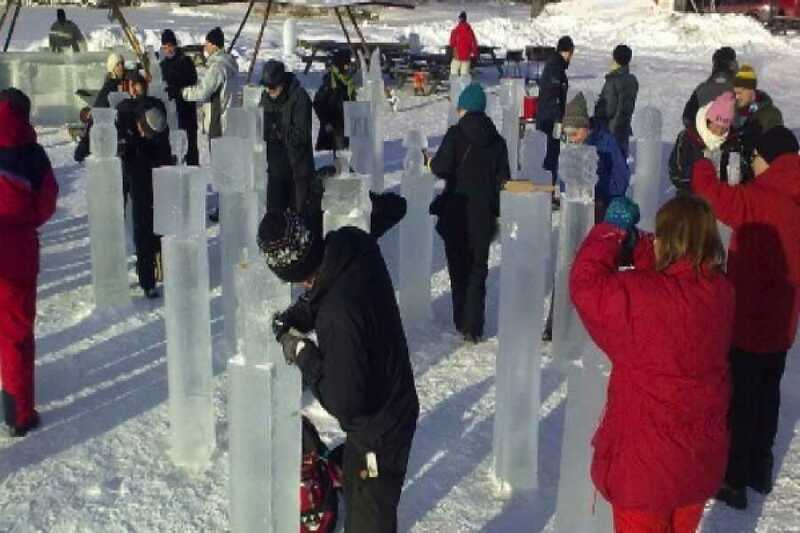 Frozen water is completely unique material to work with and is something everyone in the group can take part of and sculpting something. The teams follow a theme and a jury assesses which teams that are the most successful. Like in everything else, the teams need to make up a plan and then let the creativity loose and set the tools at work. :) To help you have lots of different tools and joyful cheering from our guides. They also are available to show and to give tips.